Most of the women around the globe are indulged into using make-up that can enhance their natural beauty. There are several types of make-up that can be used such as eye liners for the eyes, blush for the cheeks and lip gloss for the lips. Aside from the lip gloss, there are other products that can be used for the lips such as lipsticks, lip balms, lip liners that can enhance the lips making it more colorful and plumper. 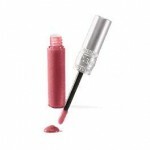 Lip gloss is a product that is often seen in many women’s bags and purses. This make-up for the lips can make any woman’s lips shine giving it a plumper look. This article will let you enjoy some information about lip gloss with suggested homemade lip gloss recipes as well. Most of the lip glosses available in the market are manufactured for cosmetics purposes only, but there are also some glosses that have added benefits for the lips. You can now find lip glosses that have moisturizing effect on the lips and some even provide sunscreen. Water-proof lip glosses are also available in the market, this makes it a favorite among women who love to go swimming or surfing. Tinted lip gloss is also an option for women who wish to have color on their lips without applying lipstick. Flavored lip glosses are also popular in the market, especially among the teens. Glitter-infused lip glosses can also provide more sheen and shine to the lips especially when lights are directed on the lips. There are different ingredients used in making a lip gloss. 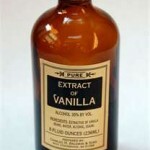 Most of them contain oil such as castor oil or mineral oil. Most of the products sold in the market contain synthetic ingredients, preservatives, animal fats and other by-products. If you want to make sure that the products you put on your lips are safe and natural, you can actually create your own lip gloss. Homemade lip gloss has benefits for the consumers. First, you can be assured that the ingredients of your lip gloss are all natural and safe. Second, you can save money because instead of buying these products in markets for an awful amount of money, you can create your own from the comforts of your home. As the name suggests, this is a basic lip gloss that can provide sheen to your lips. There is no added flavoring to this gloss. Melt the beeswax. You can do this by using a microwave or stove. Once melted remove it from the microwave or turn off the stove then add the oils. Mix in the beet juice until you get your desired color. Let the mixture cool down and pour it into a container. This is just a basic or simple lip gloss that you can use every day. This lip gloss will make you feel like you are constantly eating chocolate vanilla cake or ice cream. This is a sweet treat for your lips and it also smells good. 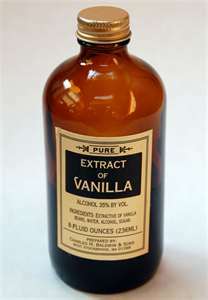 Mix in the sweet almond or peach kernel oil, beeswax and cocoa butter in a glass jar. Place the glass jar in a pan of boiling water in medium heat. Melt the oils while occasionally stirring the mixture. Once melted, remove from heat and add honey, vanilla flavor oil and Vitamin E oil. This sweet treat with added benefits of Vitamin E for your lips can create around 12-13 ¼ oz containers. These are just some of the homemade lip gloss that you can create. These lip gloss recipes are using natural products that can easily be found in several stores and markets. Start concocting your own homemade lip gloss to save money and ensure that you are applying natural products on your lips. This entry was posted in Beauty Treatments, Fashion, Makeup, Skin Care and tagged homemade lip gloss, lip color, lip gloss, lip gloss recipe, lips on January 10, 2012 by Marjorie.